For every year of your life, there's a perfect song. That's at least the idea behind Spotify's Your Time Capsule playlist, which the music streaming giant hopes will transport you back to the fond, nostalgic days of your youth with "two hours of iconic throwback tracks." The auditory flashback should use your musical tastes as a reference point, as it dredges up 50 songs meant to remind you of the old you -- or at least all the embarrassing crap you'd blast in your portable CD player when you'd rollerblade to the arcade. Your Time Capsule considers a user's age, location and musical taste when compiling the playlist, which is apparently enough information for its algorithm to paint a nuanced portrait of someone's musical tastes. The playlist is only available to users over 16, but that's fine, as teens are probably too busy scouring memes to care about music these days. 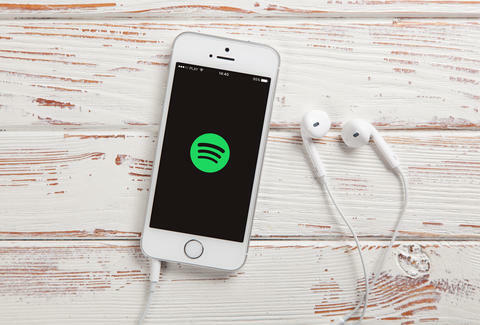 As nostalgia is an unchangeable mood, the playlist won't ever change, unlike many other Spotify playlists, such as Discover Weekly. Consider this a standing testament to all of the '90s pop and '80s power ballads that defined your formative years. When it comes to accuracy, Spotify could have done a little better to fine tune its algorithm. Never before have I been associated with so much Backstreet Boys, NSYNC, and Blink-182, and in such a public, traceable forum. But then again, maybe I just never fully understood the real me. Thanks Spotify. Sam Blum is just kidding. He's a huge fan of '90s boy bands. Follow him @Blumnessmonster.